When four-year-old Conner Prescott of Smyrna, Ga. shared his wish list with Santa, he was dreaming of more than a white Christmas. “Conner is a huge Chick-fil-A fan. We go there a minimum of once a week and he orders the same kid's meal every time." "Conner is a huge Chick-fil-A fan. We go there a minimum of once a week, " says Suzanne Prescott, Conner's mom. "He orders the same kid's meal every time." 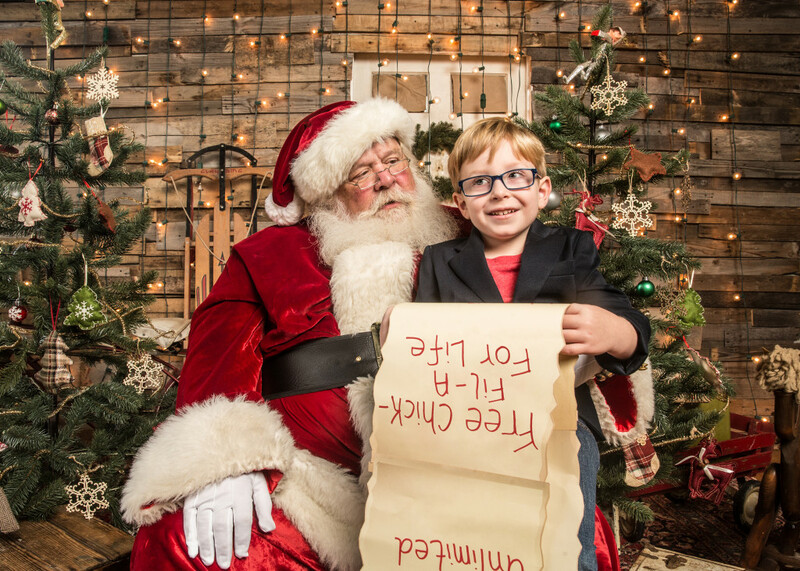 So when Conner and his dad made an enormous scrolling wish list for the annual Santa photo, it was only natural that it would include free Chick-fil-A for life. That and a number of other reasonable requests, such as world peace and unlimited candy. If chicken makes your holiday wish list too, here's a few last-minute Chick-fil-A gift ideas to make your holiday easier -- and more delicious. If you don’t have time to bake, try whipping up this Peppermint Milkshake Pie recipe from our own Chef Christy—quick, delicious, and very, very merry. 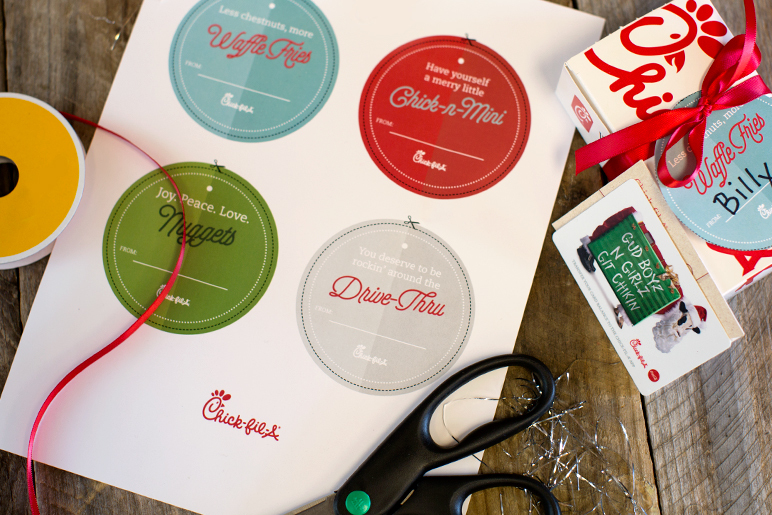 Perfect for your bestie, neighbor, or a simple stocking stuffer, fancy up a Chick-fil-A gift card with these unique tags, which you can download here. 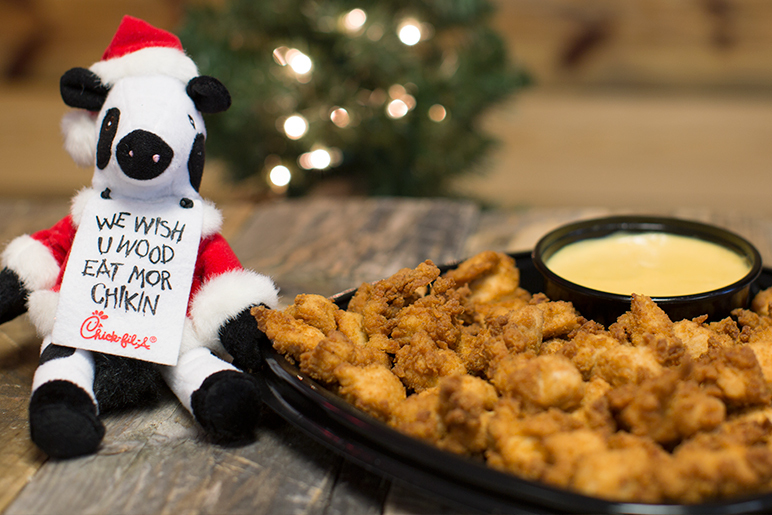 If you're feeling extra festive, ask for a nugget box to dress up the gift card. Whether it’s the office party or the scouts jamboree… catering trays to the rescue! 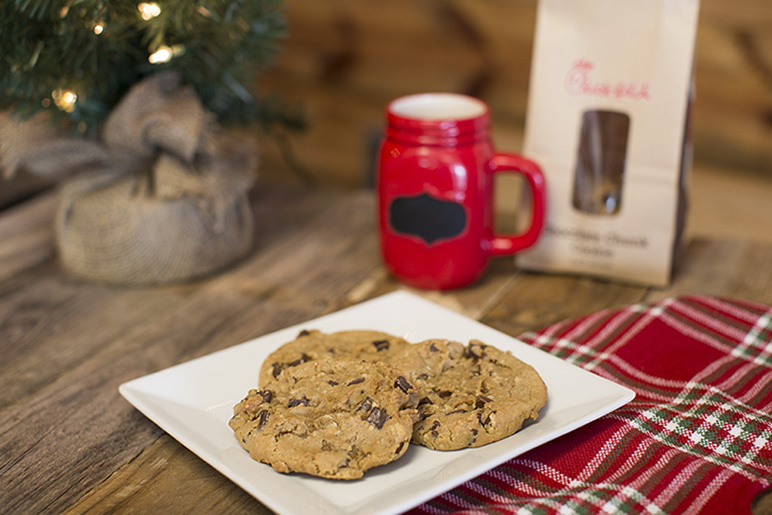 Did you know you can purchase Chocolate Chunk Cookies in half dozens? The package itself makes a great gift, but they also make great cookies to leave for Santa on Christmas Eve. That is, if you don't eat them yourself first.